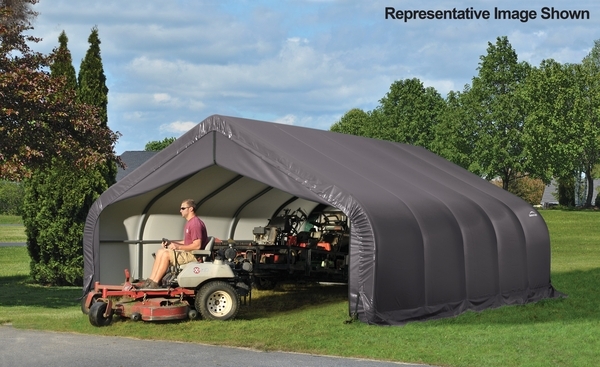 This good sized portable shelter will give you plenty of room for your autos, trucks, boats, tractors, farm equipment, yard equipment and other outdoor supplies. This shelter features the peak style. It comes with all you need to for quick and easy set up. 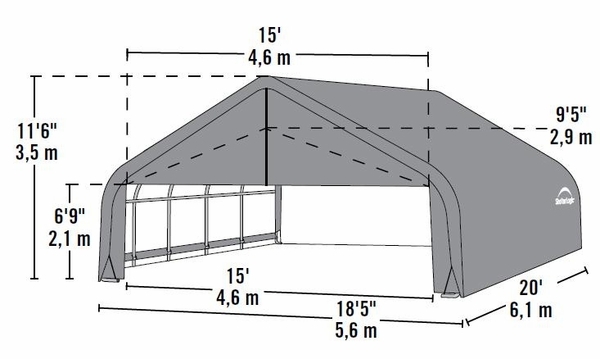 The 18 feet wide by 20 feet long by 12 feet high shelter carries a full year limited warranty. The frame and the cover feature the best materials and craftsmanship available.